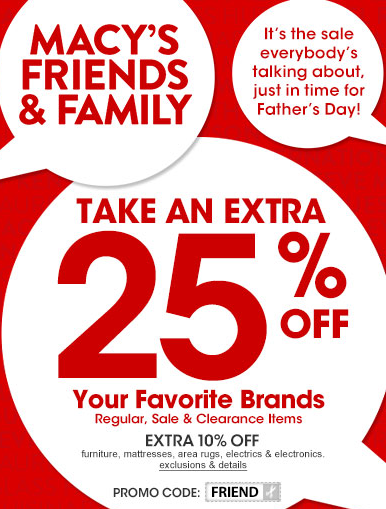 Macy's shoppers, through Monday, June 9th, you can save an Extra 25% off your purchase. Grab your savings card HERE and use the promo code FRIEND to save BIG! Great savings to use on those last minute Father's Day gifts!